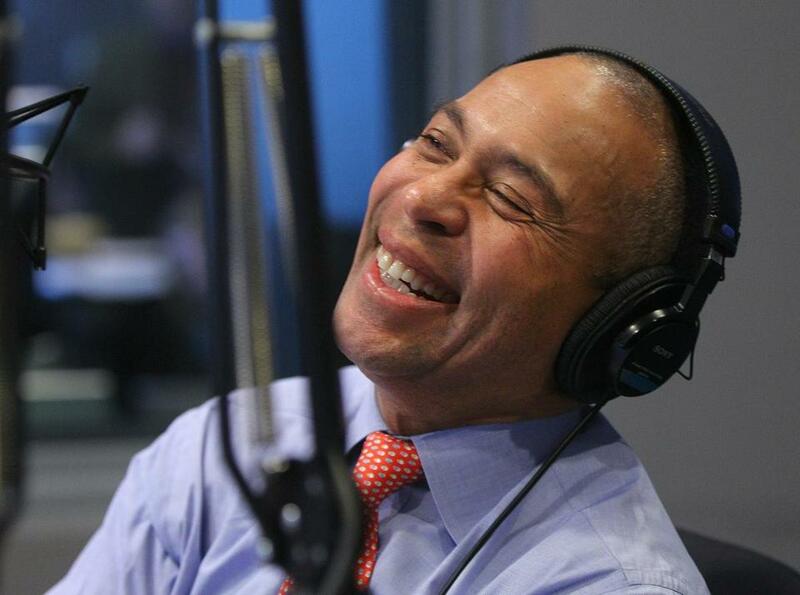 Governor Deval Patrick got a surprise call on Thursday during his final appearance on his monthly radio show segment. Obama, who was calling in to WGBH-FM to pay tribute to his friend, praised the governor for strengthening the economy, balancing the budget, raising student test scores, improving health care access, and stimulating the clean energy industry. Patrick thanked the president for his praise, and poked fun at him for mispronouncing the state, calling it “Mass-a-too-shuts,” as he often does. Obama acknowledged he sometimes botches the name of the state. “I know how to spell it, though,” he said. Patrick was appearing on his final “Ask the Governor” segment of WGBH-FM’s Boston Public Radio show, hosted by Jim Braude and Margery Eagan. Braude asked the president if he had paid his old Somerville parking tickets, a reference to a 2007 Globe story that revealed that Obama owed the city $72.63 in excise taxes and $45 in late penalties for parking illegally in a bus stop in 1990 and illegally in a street-sweeping zone in 1991. Obama said he had settled his debts with the city, where he had lived when he was a student at Harvard Law School. Levenson can be reached at michael.levenson@globe.com. Follow him on Twitter @mlevenson.